Tagline: A compelling tale of love and intrigue set in WW II and contemporary Bermuda. Dashing sea captain Nathaniel Morgan sails into the life of prim and proper Bermuda heiress Patience Whitestone and threatens to expose her family secrets—ruinous secrets she wasn't aware of. The two are immediately at odds when Nathaniel moors his vessel in front of her estate and refuses to leave until he finds the cache of Swiss gold he's convinced was buried somewhere on the property during World War II. Can Patience save herself and her family's reputation when she finds herself reluctantly drawn to this determined "pirate"? Or will someone from the past make good on his threat to destroy them both? 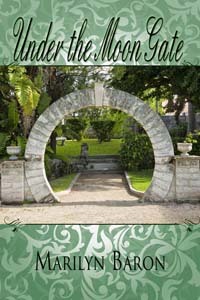 Their fate is inextricably linked to Nazi plots and to the beautiful moon gates of Bermuda in this compelling tale of love and intrigue. Patience Whitestone is a virginal 27-year-old heiress to the Whitestone fortune in Bermuda. Nathaniel Morgan, about 30, is a sea captain from Virginia who's determined to expose Patience's family secrets at all costs. My critique partners and other writing colleagues as well as writing courses I've taken. Chocolate is always good. I may be the only person on the planet who does not drink coffee. I do love hot chocolate. Reading for sure. I love to sit in the sun and read. I'm a definite pantser. I just write and then go back and edit. I wish I hadn't tried to include so many time periods in one book. When I'm in the edit stage, I'm intense and respect the deadline. When I'm writing a new book I write when I can, fitting it in between my "day job." Finish the book. You can always fix copy on a page. You cannot fix a blank page. I write a lot about older women nearer to my age. I include my personal preferences—foods I love, colors I love, places I've been. I take notes on any available slip of paper in my purse or on in the Notes section on my iPhone. I try to carry around a small notebook for this purpose, but it's not always available. So far, I've written every book I've wanted to. Actually, I've been very prolific this year. By the end of the year I will have five books published, one self-published and four under contract with a traditional publisher. Not all may be released in 2013. What other jobs have you held besides writing? Or jobs you've done while you were a writer. I head my own public relations firm. I've been editor of a regional corporate newsletter, marketing manager, and special events manager for AT&T; I was an Information Specialist for the Florida Department of Corrections (the prison system) where I learned to work with printers (the inmates in the institution that housed the printing press) and I heard a lot of "fish" stories (I'm innocent). On my first day on the job four women escaped the women's correctional institution and we had a tent city situation when the system got overcrowded. I spent one summer at the Downingtown Inn in Pennsylvania as a reservationist, living on the property in a situation similar to Dirty Dancing. My most exciting projects were involvement in the Olympics in Atlanta, Sydney, Salt Lake City and the LA Olympics. Annual reports for one client that involved travel throughout Europe, were also very interesting. Under the Moon Gate took 10 years to perfect. I wasn't writing all that time. Most of that time it was dormant. But the book has been through many iterations. It started out encompassing three generations and I finally opted for two generations in one book and one, in the 17th century, in the prequel, Destiny: A Bermuda Love Story. I just finished Revenge Wears Prada by Lauren Weisberger, which I really enjoyed. I got to meet the author twice at book signings. I'm in two book clubs, so between books I read for pleasure and books for the book clubs, I'm never without a book. I recently went on a Behind the Scenes tour on a Mediterranean cruise to do research for an upcoming book, a murder mystery that takes place on a ship. The best recent gift was from my children. Two tickets to an Andrea Bocelli concert in Atlanta in December. I love him. If you could time travel what era would be your first stop? Absolutely. I've been very fortunate in my life. Andrea Bocelli and Broadway music. I love music from the '40s. No. I took piano lessons but they didn't take. All I remember is Heart and Soul. I don't have a sense of smell so I have a well-developed sixth sense. Do you think it's important to write in just one genre? No. 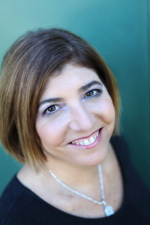 I write humorous women's fiction, historical romance, romantic suspense and paranormal. I joined Georgia Romance Writers. Social media. Create my Web site. I comment on my group blog, Petit Fours and Hot Tamales. I'd offer it in print format, not just as an EBook. The freedom and flexibility, the creativity. Keep writing. Don't give up. I have a strong work ethic, but I'm primarily motivated by deadlines. If something is due I'll get right on it. If not, I tend to procrastinate. OMG. All the time. My sister always prefaces everything she says with, "Now, this better not end up in your book." My other sister and sometimes writing partner gave me a sweatshirt that said, "Be Careful or You'll End Up In My Novel." I write down snippets of conversations wherever I hear them, at the hair salon, in the grocery store, at dinner. Sorry, if you say something interesting, you're likely to end up in my books. My favorite book so far is Under the Moon Gate, my newest release. It's a historical, romantic thriller and it has intrigue, spies, romance, and humor. I think people actually prefer the WW II-era romance to the contemporary. I love anything Nora Roberts writes. I love women's fiction. I love spy novels. I think it's great but I also like self-publishing. My sister and I cowrote two books, Murder at the Outlet Mall, a comedic mystery, and The Edger, a humorous women's fiction and we enjoyed that experience. We also wrote a musical and are thinking of self-publishing it while waiting to get it produced. When I won the Maggie Award at the Georgia Romance Writers Conference in 2012. My summer dresses, bathing suit and cover up, hat, sandals, something dressy. I would take my husband or daughters and probably go to Italy. We just got back from a Mediterranean Cruise and I'm ready to go back to The Amalfi Coast. Labor Day because we go to our condo in Florida. Dorothea Benton Franks' The Last Original Wife. Watch TV, actually fall asleep in front of the TV. Definitely green. That's my favorite color and I haven't wavered in that since I was born. I have gravitated toward lighter greens, like sea greens and blue greens. "I am a ten-countries in ten-days tour vacation, because I do things as fast as possible." But I wish I were laid back and relaxed and could enjoy a vacation spa. I love pizza with pepperoni and mushrooms, cheese and black olives. I'm always ready for a vacation. When I'm alone, I like to read. You'd never be able to tell, but I don't have a sense of smell. If I had a halo it would be made of gold. If I could find a producer, I would love for my play Memory Lane to be on Broadway. Murder at the Outlet Mall, a comedic mystery available in eBook or print format at http://amazon.com/Murder-at-Outlet-Mall-ebook/dp/B00BGQLOKW. Sixth Sense, a paranormal romantic suspense, from The Wild Rose Press. Reluctant psychic Katherine Crystal, dubbed "Crystal Ball Kate," is thrust into the national spotlight when she accurately predicts the death of a movie actor's young son in a private plane crash. Besieged by requests to use her powers to help others, she realizes why her parents had warned her never to let anyone know of her visions. By-the-book Atlanta police detective Jack Hale harbors a deep-seated distrust of psychics and ignores Katherine's warnings when she calls to report her premonition. Jack is forced to partner with Kate, who uses her eerie sensitivity to evil to help him catch a serial killer in Sydney, Australia, but that's only the beginning of the story. Jack and Kate are drawn into the investigation of a mystery surrounding Kate's birth and find murder and romance among a secret society of psychics in the quaint seaside spiritualist community of Casa Spirito, Florida. Significant Others, a humorous women's fiction from The Wild Rose Press, Christmas 2013. Thanks for hosting me, Kayelle. I'm very happy to be here. Great interview! I think all authors are always ready for a vacation, but the hardest part is turning off the muse. It's always active. All the best! Yes, the muse kicks in at all times, and wakes you up so you have to write down the notes, or in the shower when you can't and you think, Oh, I'll remember that, it's so good and then, of course you can't remember a thing. But actually, I get some of my best ideas on vacation believe it or not, because I'm more relaxed and my mind is freer. Oh I hate when I do that! I'm terrible about getting brilliant ideas in the middle of the night, or when drifting off to sleep. I'll think it's so darn good there's no possible way I can forget it. The next day all I remember is that I'd had a great idea. o.O How annoying! I wish the muse would be less finicky about talking to me. Yes, especially when it was an amazing title for a book. And you can't for the life of you remember what it was, except, as you say, it was so good (supposedly and we'll never know). I knew a lot of that stuff, but didn't know you'd worked with the Olympics or done a stint in PA as a hotel reservationist. Love the atmosphere in Under the Moon Gate, and of course, the historical aspect. Can't wait to read Sixth Sense and its sequel Homecoming Homicide! Debbie, Marilyn seems to be a bundle of surprises. No wonder she can write the way she does! I've had jobs I haven't even included here and I think everything you do prepares you for being a writer. What they say about truth being stranger than fiction, is so true! I can't wait for Sixth Sense to come out. This was based on an experience I had flying to Australia sitting next to (for 24 hours! )a psychic and that was the seed that sparked the idea. And of course, it grew from there. The book takes you from Atlanta to Sydney to a small fictionalized coastal town in Florida. It is a romantic suspense with elements of paranormal. So I am excited it will be available early on Amazon this month (8/27). Thanks for commenting. What an amazing interview. Marilyn, I never knew you didn't have a sense of smell. My attention is totally caught by this musical you're working on. What's it about? I am trying not to feel sorry for Marilyn. If you don't have it you dont' miss it. But it's sad when know what it's like. I guess it would be like not having telepathy and someone who had it would feel sorry for us. You're to be congratulated on your perseverance on this book. Ten years is a long time to keep the story alive, and the plot sounds exciting. A story that is stuck in your mind isn't something you can walk away from, is it? They can stick with you forever. Thanks for commenting. I didn't actually work on the book all ten years. I was working on other books during that time, but the problem was I was trying to include three love stories in one book and finally I made the 17th century story into one book and the contemporary and WW II stories into a second. That did the trick. I do have perseverance and I never gave up. This book sounds amazing! You are on a roll! Hi, Mary :) Nice to see you! Thank you very much. I think readers will find it exciting, especially the WW II part, which reads like a spy novel. This book has everything, doesn't it? A modern day pirate, a thriller back story and hidden gold. What a great interview. I also have books that have stayed with me for years before I actually did anything with them. And one is coming out from The Wild Rose Press next year, so we're fellow authors. Maybe we'll meet someday. It's very nice to meet a sister Wild Rose Press Author. Thanks for visiting. Yes, this book does have everything including spies and intrigue and two romances, three if you count the prequel. Your new book sounds good too. What genre is it? Kayelle, wouldn't it be nice if books flew out like butterflies set free? Oh would it ever! I'd have a garden full of them by now, I'm sure. What a lovely thought.